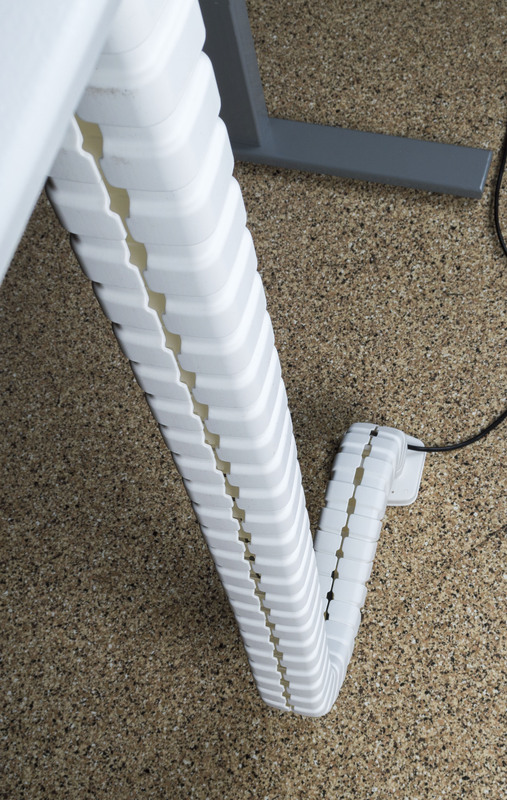 The Cable Snake is a unique wire manager for controlling wires from the work surface to the floor. 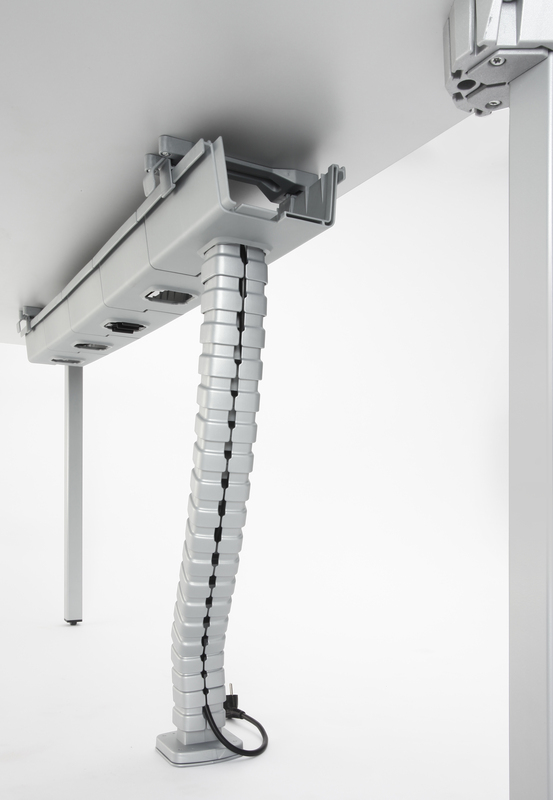 All wires are completely hidden and protected inside the Cable Snake; the wires are then fed out through the bottom at the foot enabling the user to plug them into a socket. It is highly flexible and can be used on stationary or height-adjustable desks and comes with the top mounting plate and foot. 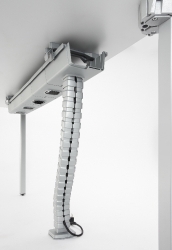 The Cable Snake can also be purchased a la carte, enabling you to configure it how you would like. It can be used with or without the Cable Trough (sold separately).